If you haven’t read Dan Kennedy’s “The Ultimate Sales Letter” yet you are missing out. He is a master at creating compelling content that grabs his target market. In his book, he talks about 10 smart questions to diagnosis your market by profiling. I thought these were so appropriate to Network Marketing that I had to share them. His book is filled with great ideas and step by step guidance on how to write compelling content. No matter how many eyes see your content or sales letter if it doesn’t grab them and compel them to take action then you need to rethink your content. What these 10 questions are all about is knowing your customer or target audience. If you don’t know everything you can about your target audience then how are you going to help them. We are continually taught that if we are going to be putting out content into the market we need to know all about our target audience. The top earners will tell you that unless you just want to throw content out there and hope for the best you need to know all you can. What are they angry about? Whare they angry at? Can you see how these 10 questions relate to your Network Marketing customer and or business partners? These are all about finding out what makes them tick. This is how compelling content is developed and how great sales letters are produced. I believe that if we ask these questions of our target audience we will begin to increase our lead generation and our recruiting. The more we can help others the more we help ourselves. How do we help others, by knowing what makes them TIC! If you want to learn more about posting content on your blog and social media then you need to get this course. More about copywriting you need this course. 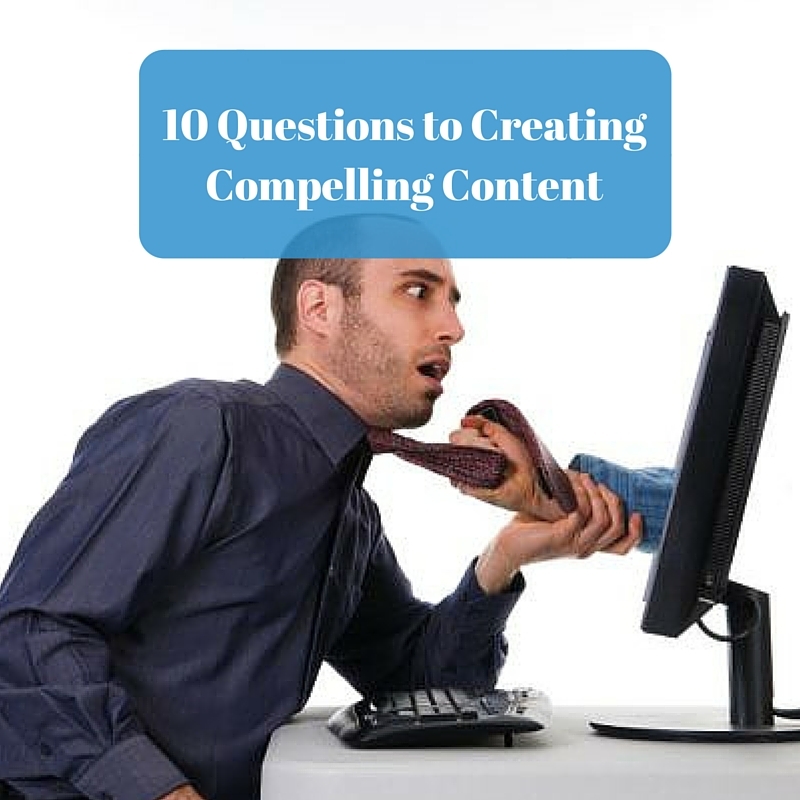 If this post, 10 Questions to Creating Compelling Content, has helped you please share and comment below. For my family, the Network Marketing Profession is a financial lifeline that is changing every aspect of my life for the better. And I can teach anyone how to do exactly what I do. The business model is remarkably simple, but it does take work and consistency. You don’t need any special ability or education and you don’t need to be a technical wizard.